All investments carry risk… We all know that. But if you’re aware of what to look for you save yourself a great deal of time, energy, and money. Because – let’s face it -- the last thing any of us want to do is fall prey to a bad deal. Their lack of understanding about the overall market and economic issues often make them prey to sellers quick to move a deal. They’re easily convinced property is worth more than it really, confused as to why location, timing, and class of property is essential. When the numbers don't’ add up, it’s not often that it’s because of bad math. It’s because an involved party may he hiding something or misrepresenting. Ask to see hard numbers in the form of tax forms, owner records, net income, cash flow, return on investment, etc. If the other parties are unwilling to share this data, it’s a red flag. You have no business investing in bad math. If you’re looking at what you believe to a good investment is sitting in a bad neighborhood with far too much to fix, or if the property has been sitting vacant for months, it may be more trouble than its really worth. Look into why a specific property has been on sale for far too long, and why. Most often, you’ll find it’s best to walk away. Look at crowd funding as the perfect example. Here, you have to look into the potential for fraud. Look to see how it protects investors. Look to see if it’s well capitalized, too. If not, the deal isn’t worth the time, energy, or money. As I’ve mentioned before, as my friend, Joseph Sierchio, managing partner of Sierchio & Company, LLP, a New York-based corporate and securities law firm will tell you, investors must be diligent when vetting these opportunities. Unless you’re attentive and diligent, you may stand to lose your whole investment. “It’s imperative that investors use their ‘investment sense’ and conduct proper due diligence prior to signing any documents and purchasing the securities being offered,” notes Mr. Sierchio. Although past performance is no guarantee of future success, you should always examine the operating history of both the crowdfunding site, as well as the sponsor. “Does the sponsor have a history of overpromising and under-delivering?” Were those extremely attractive 12%, 15% or more, preferred returns actually paid? Was the exit strategy actually adhered to? Investors shouldn’t be swayed by the promise of high returns (preferred or otherwise), because claims are usually offset by disclaimers in offering materials. It also really depends on what you’re looking to invest in a property. 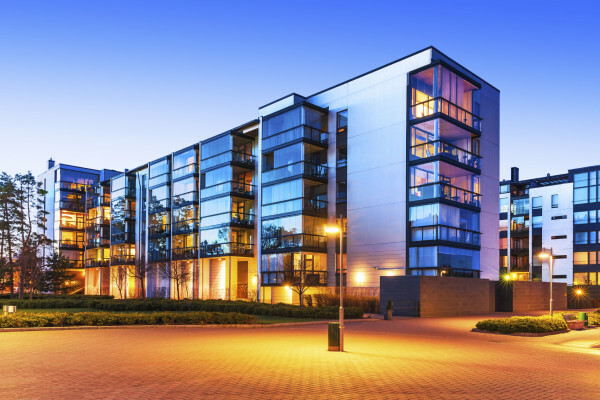 Class-B buildings carry a bit more risk than a Class-A property. Compared to Class-B, Class-C properties are older still. Located in less desirable, lower-visibility locations, these are often in below-average condition and typically in need of major renovations and improvements. Some of the greatest fortunes I’ve made is by owning Class-A properties, which have a history of producing predictable, lower risk income. While my portfolio consists of Class-A property, I also hold Class-B if it meets my investment criteria.